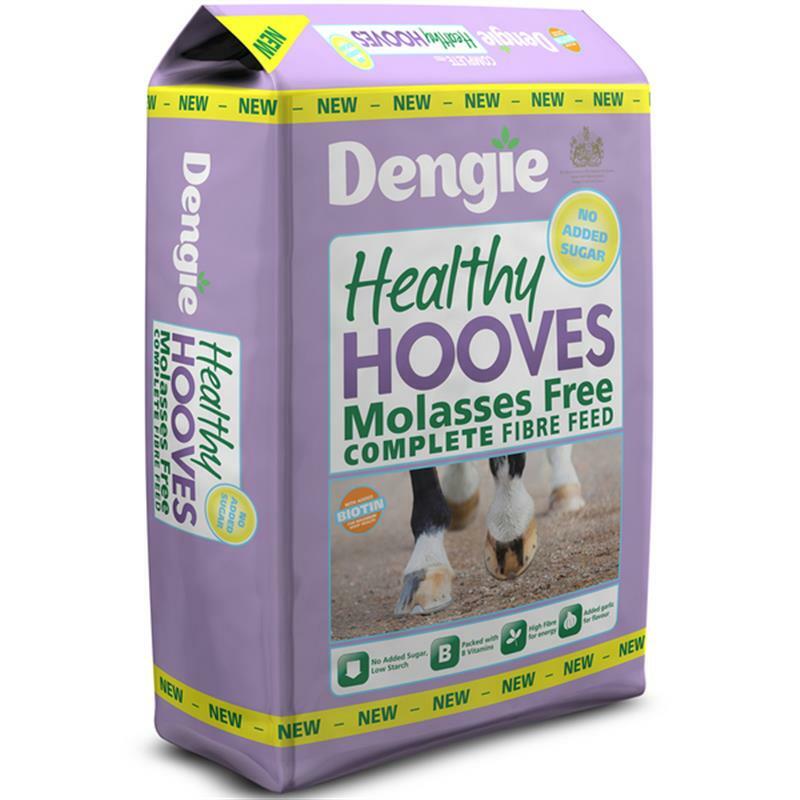 Dengie Healthy Hooves Molasses Free - 20kg. Dengie Healthy Hooves Molasses Free is the only molasses free complete feed for improving hoof quality. Dengie Healthy Hooves Molasses Free has a full range of B vitamins including biotin at levels that research has shown to be effective at maximising hoof health. Low Sugar & Starch: Research has shown that horses and ponies predisposed to laminitis are at greater risk if fed cereals. 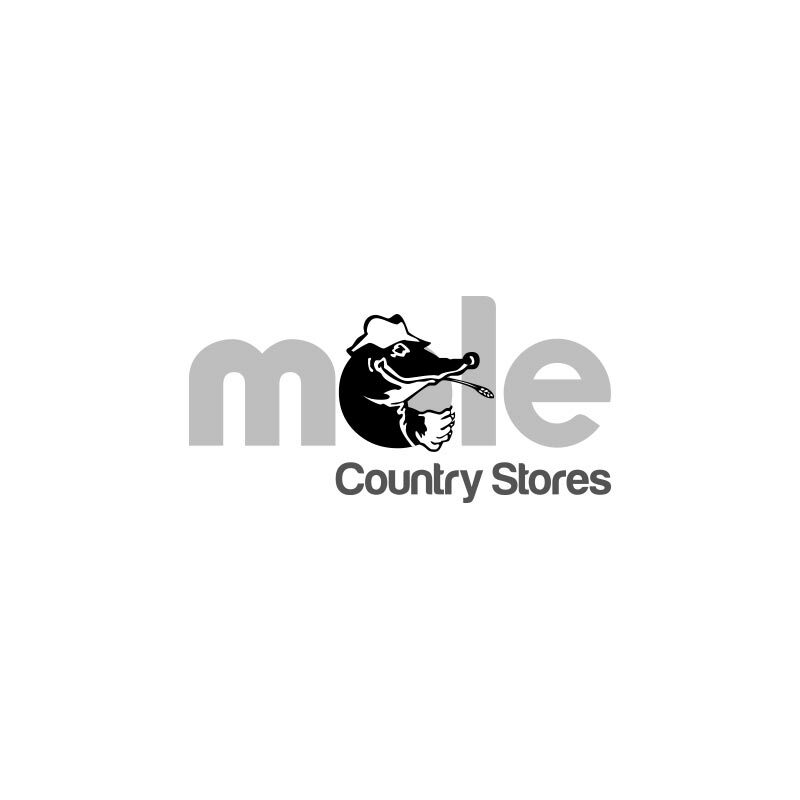 Healthy Hooves Molasses Free is free from whole cereal grains. Chelated Trace Minerals: Important for improved bio-availability to the horse, i.e. they are more easily absorbed. Trace minerals are important for general condition including hooves and coat condition and are also integral components of the body's antioxidant system. Essential High Fibre: Provides slow release energy and essential for maximising gut health. Highly Palatable: Healthy Hooves Molasses Free contains added garlic for great palatability and pellets for added interest.